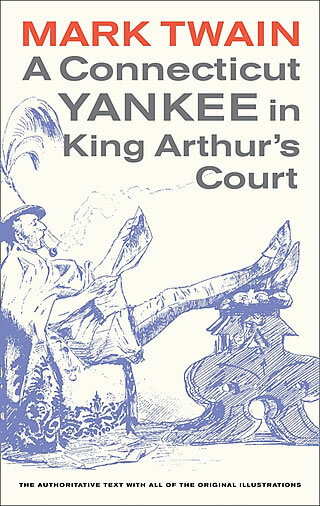 "...sparingly annotated and include all the original illustrations that Mark Twain commissioned and enjoyed." The Mark Twain Library volumes began issuing in 1982 from the University of California Press. The texts, illustrations, and explanatory notes derive from scholarly editions also published by the University of California Press in both the Mark Twain Works and Papers series. (The Mark Twain Works volumes began issuing in 1972 as Iowa-California Editions. After 1988 the University of Iowa was dropped from the publishing endeavor and subsequent volumes were issued as California editions.) The Works volumes are devoted to works published in Mark Twain's lifetime with some exceptions. The Mark Twain Papers volumes are a series of books that began issuing in 1967 from the University of California Press and are devoted to Mark Twain's writings never before published or previously published in a format unacceptable to today's scholars. The Mark Twain Library volumes draw from both of these series but do not contain the scholarly textual roadmap that details how the authoritative texts were established. Advertising printed on the dust jackets of the first volumes issued in 1982 indicate plans to produce an extensive multi-volume Library Edition of Mark Twain's works which would be drawn from a projected 70 volumes in the Works and Papers series. Three Mark Twain Library volumes per year were planned beginning in 1982. The volumes were issued in both hardcovers with dust jackets as well paperbacks. The books feature no volume numbers. The first series of titles published in 1982 and 1983 maintained uniformity of size and design with dust jackets or paperback covers in varying colors. Book designer for the series was Steven J. Renick (b. 1941 - d. 2002) of the University of California Press. Time, funding, and other issues eroded the optimistic production schedule for the Mark Twain Library and years lapsed between the issuance of additional titles. As of 2012, only eight titles have been published. All eight volumes continue to remain in print with electronic editions now available. The later volumes feature revised design elements and colors. The Mark Twain Library is now best described as a series of books that are uniform in size but with design features that have been revised with subsequent printings. The volumes are well suited to classroom use as authoritative texts. They also appeal to general readers and scholars who want the extra insight provided by explanatory notes. Dust jacket flap from 1982 Mark Twain Library edition of The Adventures of Tom Sawyer. 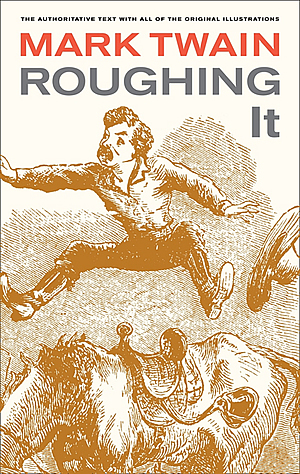 The icon of Huck Finn speeding down the hill by illustrator True Williams is from the 1876 first edition of the book and became a standard design feature for all the other titles in the series. Light tan cloth binding with titles stamped in gold over dark green on the spine became early standard features of the hardcover Mark Twain Library volumes. 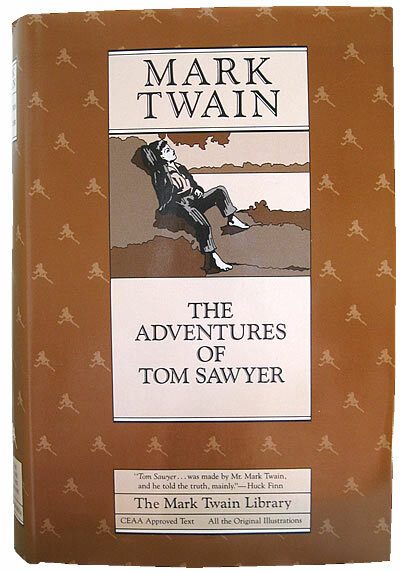 The Adventures of Tom Sawyer was one of three titles released in 1982 in the Mark Twain Library series. 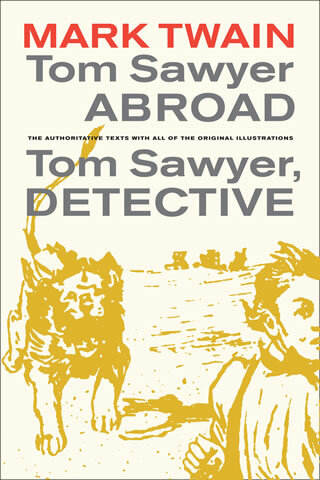 The text of the volume derives from the earlier Iowa-California edition of The Adventures of Tom Sawyer / Tom Sawyer Abroad / Tom Sawyer, Detective published in 1980 with text established by Paul Baender and foreword and notes by John Gerber. For the Mark Twain Library edition John Gerber provided a new introduction and Robert Hirst provided corrections to the earlier text. All of the original illustrations were reinstated. The volume continues to be in print, but subsequent cover designs differ from the 1982 edition. Cover of June 2010 edition In 2010 the University of California Press released the volume in a 135th Anniversary Edition. 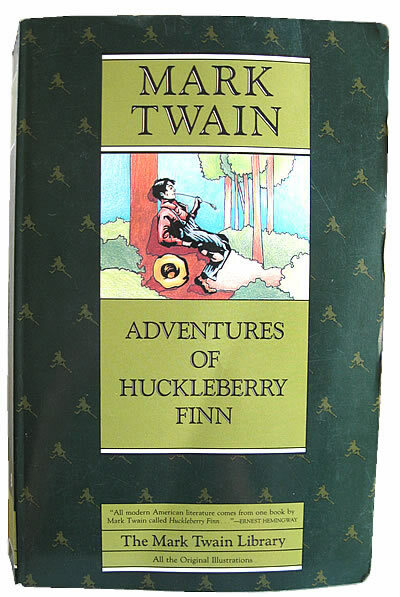 This edition includes an extra gathering of material featuring a photograph of a page from an early draft titled "Boy's Manuscript," a reproduction of a page from an attempt to write a play about Tom Sawyer, a portrait of Laura Hawkins who served as the model for Becky Thatcher, an advertisement for Perry Davis Painkiller, advertising used by book canvassers, three letters written by Mark Twain regarding the book's publication, and a stereopticon photo of Mark Twain. 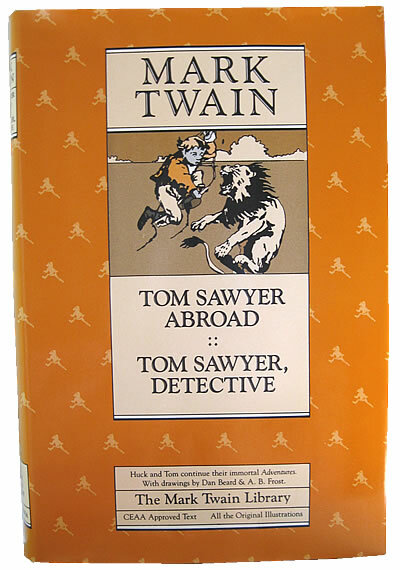 1982 Mark Twain Library edition of Tom Sawyer Abroad :: Tom Sawyer, Detective Tom Sawyer Abroad :: Tom Sawyer, Detective was one of three titles released in 1982 in the Mark Twain Library series. It features two novels which were originally published as separate books. 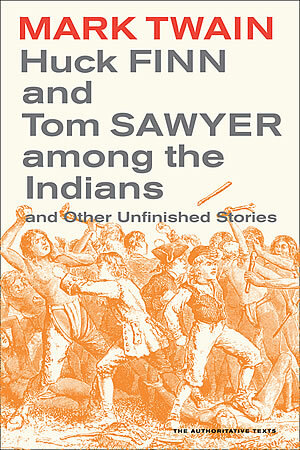 The text of the volume derives from the earlier Iowa-California edition of The Adventures of Tom Sawyer / Tom Sawyer Abroad / Tom Sawyer, Detective published in 1980 with text established by Paul Baender and foreword and notes by John Gerber. For this edition John Gerber wrote a new introduction and Robert Hirst provided corrections to the previous text. All of the original illustrations are also included in this volume. November 2011 edition The text continues to be in print. Subsequent cover designs differ from the 1982 edition. 1982 Mark Twain Library edition of No. 44, The Mysterious Stranger No. 44, The Mysterious Stranger was one of three titles released in 1982 in the Mark Twain Library series. The text derives from the 1969 edition of Mark Twain's Mysterious Stranger Manuscripts, a volume in the Mark Twain Papers series, which features three versions of the story -- none of which had been published in Mark Twain's lifetime. The 1969 edition featured an introduction and explanatory notes by William M. Gibson. No. 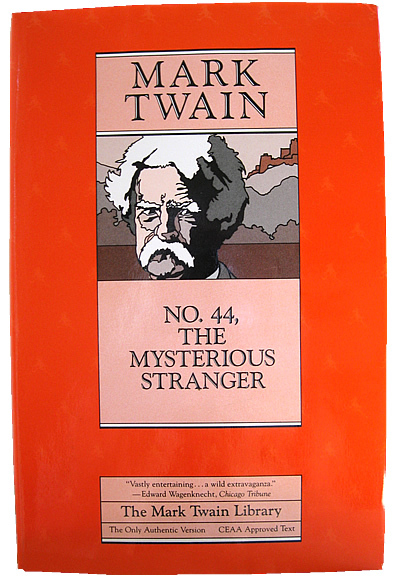 44, The Mysterious Stranger is considered the most complete version of the story and it has enjoyed wider distribution as part of the Mark Twain Library series. For the 1982 Mark Twain Library edition, John S. Tuckey wrote a new foreword and a new set of explanatory notes and Robert Hirst provided notes regarding the text. Cover of April 2011 edition The book continues to be in print. Subsequent cover designs differ from the 1982 edition. 1983 Mark Twain Library edition of A Connecticut Yankee in King Arthur's Court Released in 1983, the text of the Mark Twain Library edition of A Connecticut Yankee in King Arthur's Court derives from the earlier Iowa-California edition of 1979 edited by Bernard Stein who wrote a new foreword for the Mark Twain Library edition. Robert Hirst also provided notes on the text plus minor corrections to the 1979 text for this edition. Cover of February 2011 edition The book continues to be in print. Subsequent cover designs differ from the 1983 edition. 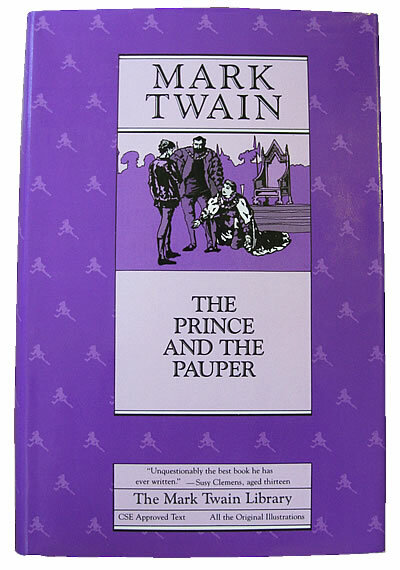 1983 Mark Twain Library edition of The Prince and the Pauper Released in 1983, the text of the Mark Twain Library edition of The Prince and the Pauper derives from the earlier Iowa-California edition of 1979 edited by Victor Fischer with explanatory notes by Lin Salamo. For this Mark Twain Library edition, Fischer wrote a new foreword and Michael B. Frank provided additional explanatory notes. Robert Hirst provided notes on the text as well as one correction to the 1979 text. Cover of April 2011 edition The book continues to be in print. Subsequent cover designs differ from the 1983 edition. 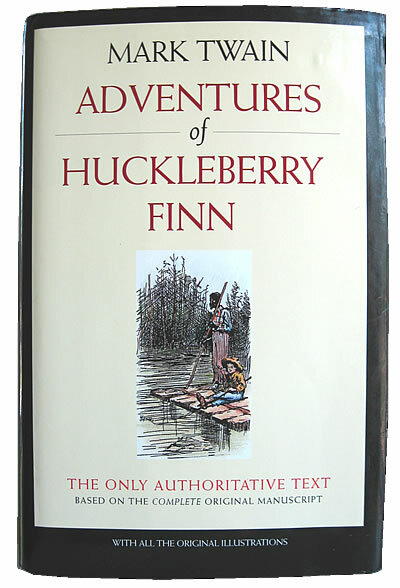 The first Mark Twain Library edition of Adventures of Huckleberry Finn was released in 1985. The scholarly Iowa-California Works edition followed in 1988. The texts of both books are the same and were established by editors Walter Blair and Victor Fischer. Robert Hirst provided notes on the text. One of the most popular of Mark Twain's works, the edition underwent several printings. In 1989 Hirst provided corrections to previous explanatory notes and editorial materials. The text of this edition was established without benefit of access to the handwritten manuscript of the first half of the novel which was presumed lost. Mark Twain's missing manuscript for the first half of the novel was discovered in 1991. This discovery would inevitably lead to a revision of the text in both the Mark Twain Library edition and the scholarly Works edition. However, a revised text would not be available until 2001 and in the meantime the 1985 version of the Mark Twain Library edition went through numerous reprintings until at least 1994. 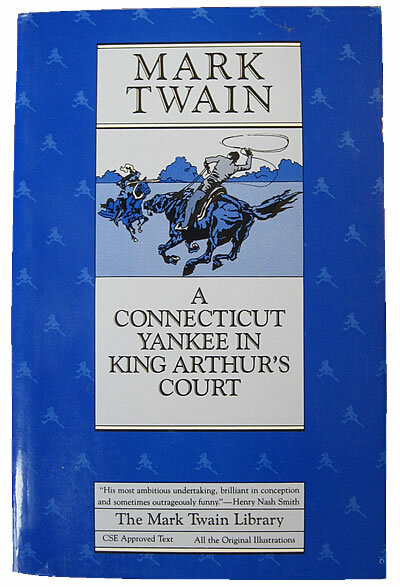 The 2001 Mark Twain Library edition features a departure in design in cover and binding from previous Mark Twain Library editions that had been issued from the 1980s and 1990s. The new cover designs feature tan and black jacket covers. Tan board and green cloth bindings feature titles in gold stamping on the spines. 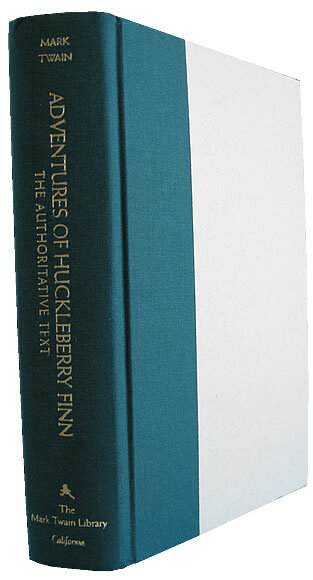 The 2001 Mark Twain Library edition of Adventures of Huckleberry Finn was edited by Victor Fischer and Lin Salamo with Harriet Elinor Smith also receiving editorial credit. Walter Blair, one of the original editors of the 1985 Mark Twain Works edition, died in 1992 but his name is also featured on the title page. Fischer and Salamo wrote a new foreword for the 2001 edition and Fischer also provided notes on the text. In 2003 the scholarly Mark Twain Works edition followed the Library edition and provided the textual roadmap explaining how the authoritative text was established. By issuing the Library edition several years in advance of the Works edition, students as well as scholars were assured access to the critical text as soon as possible after it was established. 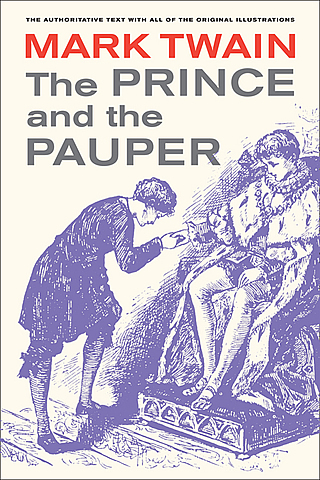 Cover of August 2010 edition In 2010 the University of California Press released the volume in a 125th Anniversary Edition in both hardcover and paperback. This edition includes an extra section of material titled "Mark Twain on Tour" featuring photographs of advertising for Adventures of Huckleberry Finn and programs from Mark Twain's lecture tour with George Washington Cable when he gave readings from his new novel. The new section also includes the text of four letters Mark Twain wrote home to his family while on the tour. 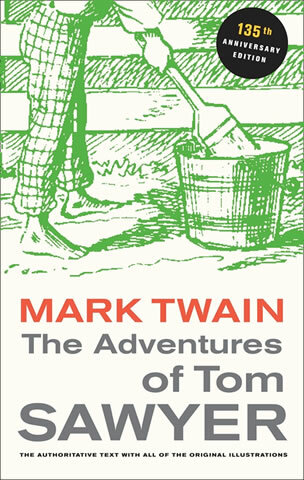 Published in 1989, the Mark Twain Library edition of Huck Finn and Tom Sawyer Among the Indians and Other Unfinished Stories might well be regarded as a "clean up" edition. The contents includes eleven items -- ten of which derive from previously published scholarly editions in the Mark Twain Works and Papers series. Some items were in need of revision and corrections. The common theme of the volume is the "matter of Hannibal." The foreword and explanatory notes were written by Dahlia Armon and Walter Blair. Receiving credit for establishing the authoritative texts are Dahlia Armon, Paul Baender, Walter Blair, William M. Gibson, and Franklin R. Rogers. Also featured is a "Biographical Directory" that had not been included in any previous edition. Robert Hirst provided a note on the texts and specified the corrections that had were made to the previous printings for each item. "Boy's Manuscript" - previously in Volume 4 of the Works edition - The Adventures of Tom Sawyer / Tom Sawyer Abroad / Tom Sawyer, Detective (edited by John C. Gerber and Paul Baender, 1980). Numerous corrections to the text were made. "Letter to William Bowen" - first publication for this item. It was subsequently reprinted in Mark Twain's Letters, Volume 4, 1870-71 (University of California Press, 1995). The 1995 reprinting was based on additional textual evidence and contains minor corrections to the text -- thus this version of the Mark Twain Library text became obsolete in 1995. "Tupperville-Dobbsville" - previously in Mark Twain's Hannibal, Huck & Tom (edited by Walter Blair, 1969). One minor correction was made. "Clairvoyant" - previously in Mark Twain's Hannibal, Huck & Tom (edited by Walter Blair, 1969). 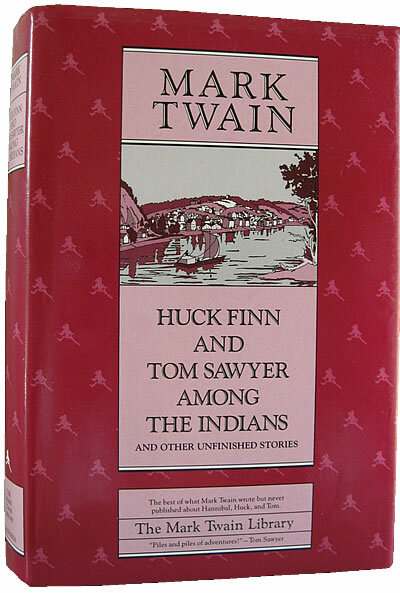 "Huck Finn and Tom Sawyer among the Indians" - previously in the Mark Twain Papers edition of Mark Twain's Hannibal, Huck & Tom (edited by Walter Blair, 1969). Corrections were made based on seven additional pages of manuscript found after the 1969 publication. "Jane Lampton Clemens" - previously in the Mark Twain Papers edition of Mark Twain's Hannibal, Huck & Tom (edited by Walter Blair, 1969). "Villagers of 1840-3" - previously published in two separate parts in two separate volumes of the Mark Twain Papers series because the two editors, Walter Blair and Franklin R. Rogers, did not recognize it as one continuous essay. Previously in Mark Twain's Hannibal, Huck & Tom (edited by Walter Blair, 1969) under the title "Villagers of 1840-3" and a final portion of it appeared in Satires and Burlesques (edited by Franklin R. Rogers, 1967) as the concluding pages of "Hellfire Hotchkiss." "Hellfire Hotchkiss" - previously in Satires and Burlesques (edited by Franklin R. Rogers, 1967). The text of Satires and Burlesques was never approved by the Center for Editions of American Authors (CEAA). For the Mark Twain Library edition, the text was completely re-edited and brought up to standards established by the Center for Scholarly Editions (CSE). The final portion of "Villagers of 1840-3" which Rogers had included with "Hellfire Hotchkiss" in 1967 was removed and published in proper sequence with its original manuscript. "Tom Sawyer's Conspiracy" - previously in the Mark Twain Papers edition of Mark Twain's Hannibal, Huck & Tom (edited by Walter Blair, 1969). Numerous corrections to the text were made. "Schoolhouse Hill" - previously in Mark Twain's Mysterious Stranger Manuscripts (edited by William M. Gibson, 1969). Numerous corrections to the text were made. "Huck Finn" - previously in the Mark Twain Papers edition of Mark Twain's Hannibal, Huck & Tom (edited by Walter Blair, 1969) with the title "Doughface." Blair arbitrarily assigned the title "Doughface" to the essay even though Mark Twain titled the piece "Huck Finn." 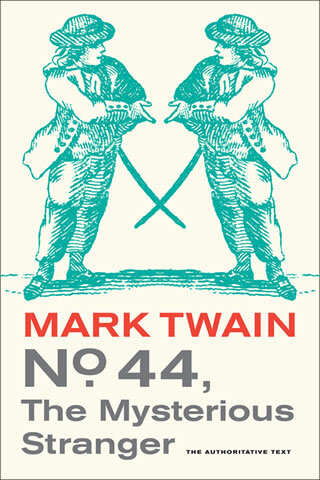 For this authoritative text, the Mark Twain Library edition follows Mark Twain's preferred title "Huck Finn" for the essay. With the exception of the "Letter to William Bowen," the Mark Twain Library edition is the most authoritative source for these Mark Twain works. The book continues to be in print. Subsequent cover designs differ from the 1989 edition. 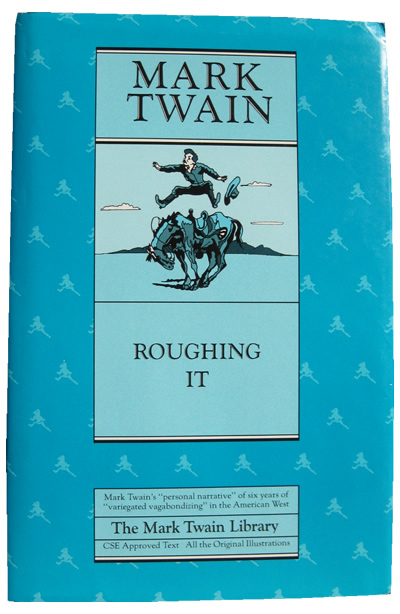 The Mark Twain Library edition of Roughing It was published in 1996. The text of the Library edition of Roughing It is identical to the text of the scholarly edition of Roughing It published in 1993 as Volume 2 in the Works series. The volume was edited by Mark Twain Project editors Harriet Elinor Smith, Edgar Marquess Branch, Lin Salamo, and Robert Pack Browning. The previous Works edition was the winner of the 1993-94 Modern Language Association Prize for a Distinguished Scholarly Edition. For the Mark Twain Library edition, Robert Hirst provided a discussion of the text. The book continues to be in print. Subsequent cover designs differ from the 1996 edition. In most instances the texts of the Mark Twain Library volumes are more authoritative than the texts found in the Mark Twain Works volumes. The Mark Twain Project editors have taken advantage of the opportunity to provide needed corrections to the text with the subsequent reprintings. The Library volumes should be considered the ideal choice for classroom study. For the scholar who needs a greater in-depth analysis of how the authoritative texts were established, the analytical Works volumes are indispensable. With the exception of Roughing It (1993, 1996) and Adventures of Huckleberry Finn (2001, 2003) a serious scholar will need both a Works edition to consult for textual analysis and a Library edition to consult for authoritative text. 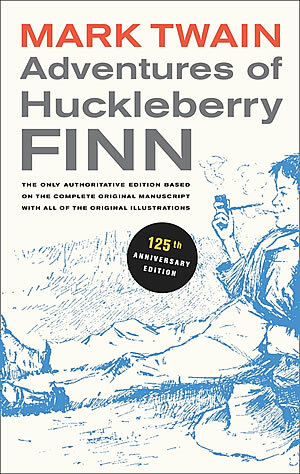 With the additional supplemental material added to the Anniversary Editions of both The Adventures of Tom Sawyer (2010) and Adventures of Huckleberry Finn (2010), scholars who have the older volumes may wish to replace them with the newer versions.